The lawyer Michel is not a fan of the Michel Martelly and his political party PHTK. 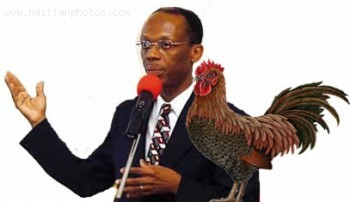 As a matter of fact, he wants the party to be removed from the electoral process in Haiti. Andre Michel feels that the PHTK should have been disqualified by the Provisional Electoral Council (CEP) long ago as PHTK and its allies were named for acts of violence during the August 9, 2015 elections. He also stated that PHTK was involved in the massive electoral fraud during the October 25, 2015 elections. 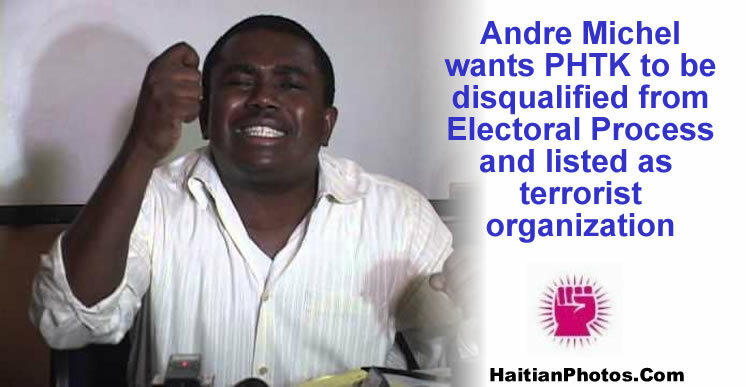 According to Andre Michel, PHTK is not a democratic political party but rather a terrorist organization. I don't know if you feel it like I do; but I think there are some kind of uneasiness growing between the American and Haitian authorities. 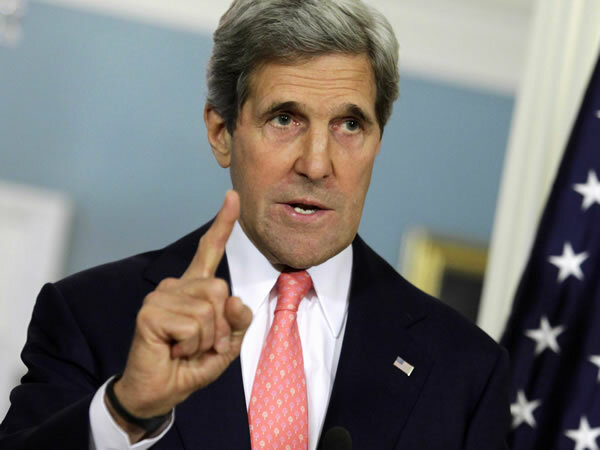 After the recent statements by US point man Kenneth H. Merten that did not go too well with some sectors of the Haitian Population, now it is the turn for United States of America Secretary of State John Kerry. According to Mr. Kerry, "The Haitian players, the so-called leaders, need to understand there's a clear limit to the patience, the willingness of the international community to condone this process of delay." If President Jocelerme Privert thought that he was having lots of pressures to put a new Prime Minister in place, things are not getting are not getting any better for him. The leader of Platform Pitit Dessalines just just issued an ultimatum to the new President. 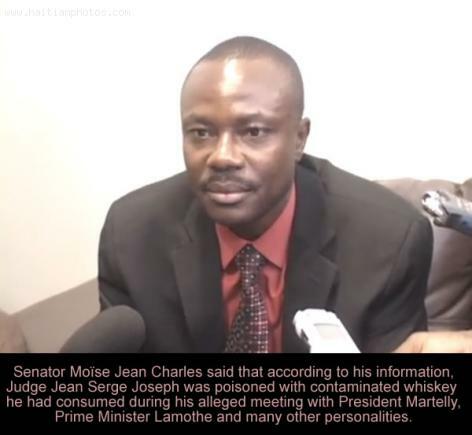 According to Moise Jean Charles, Jocelerme Privert has a maximum of four days to put in place a commission of verification to investigate the results of the previous elections. 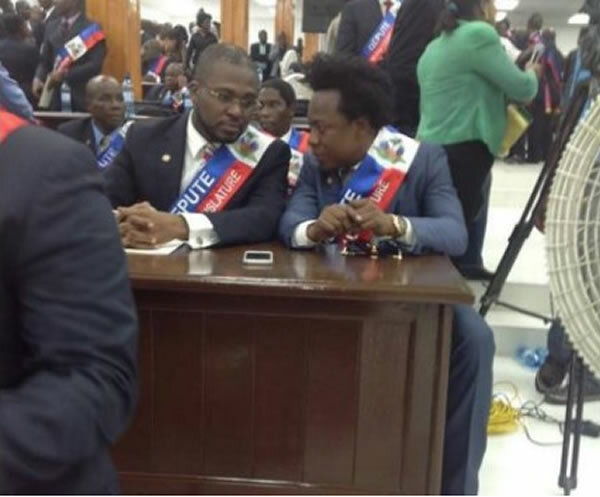 There is no doubt that several factions of the Lavalas movement were present in force at the National Palace for the inauguration of Jocelerme Privert as Haiti new Provisional President. The event was marked by the presence of the current Fanmi Lavalas presidential candidate Maryse Narcisse and Aristide 's own wife, Mildred Aristide. Some people said that Jean Bertrand Aristide had deployed his heaviest weapon in a show of force. Ores Nixon who is a Fanmi lavalas activist in the street was also present during the inauguration of Jocelerme Privert. According to Ores, "The last time I came to the palace was in 2003 when President Aristide was in power, now look at me, inside the national palace with a glass of champagne, celebrating the inauguration of our President Jocelerme Privert"
On Thursday, December 17, President Martelly created a 5-member Independent Commission on Electoral Evaluation, with the power of section 136 of the Constitution and the Decree of 17 May 2005, to assess the condition of the country's remaining electoral process scheduled to be held on December 27, 2015. However, since the December 27, 2015 election was postponed and rescheduled for January 17, 2016, and some of the members of the commission and their political platforms were reluctant to participate, the commission has been reorganized. The unwilling members like, Manno Charlemagne (Joseph Emmanuel Charlemagne) and Konpè Filo (Anthony Pascal) were replaced by Me Gédéon Jean (representing the human rights sector) and the Pastor Louis Armand (representing the Protestant Church). The other three members of the commission are: Mgr Patrick Aris, the Mambo Euvonie Georges Auguste, and Rosny Desroches. On Thursday, December 17, President Martelly ordered to create a special "Commission of Electoral Evaluation" under section 136 of the Constitution and the Decree of 17 May 2005. The commission would assess the situation of the country's upcoming electoral process scheduled on December 27th, within the next 3 days and will report the commission with necessary recommendation. The creation of the commission has been announced by the Prime Minister Evans Paul through a press note. However, the G8, Fanmi Lavalas and other opposition parties have said this Commission on Electoral Evaluation does not meet their main demand of an independent inquiry commission to investigate the alleged frauds concerning the Minutes of the of October 25th election and the preliminary presidential election results. Haitian police, acting under electoral pressure of the CEP, arrested 200-plus people for fraudulent voting on October 25th in the presidential elections. The PHTK, along with other parties under its banner, were blamed. The vast number of complaints reported to human rights organizations, who oversaw the voting on Election Day, pointed to PHTK as the culpable party. A customs officer, Carlo Estard, an AAA party member subsumed under PHTK, was apprehended for voting repeatedly, as well as the voting center supervisor of L'Estere. In another instance of voter fraud a KID party member was arrested for carrying over a dozen electoral ID cards, and trying to ballot stuff. KID is also under the PHTK banner. 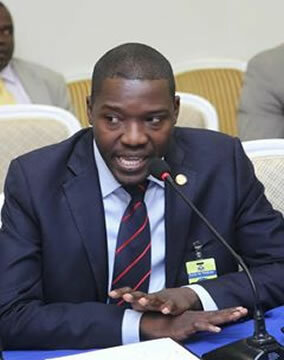 Dieuseul Simon Desras, former Senate President, announced to the public voting fraud had indeed happened. Public and private on-air media outlets distributed inordinate air-time to some presidential candidates, skewing a process supposed to follow democratic principles. RTNH gave PHTK candidate, Jovenel Moise, 56% air-time, and Radio-Tele Ginen 77%. Candidate Jude Celestin received 53% air-time on Radio Kiskeya. The figures were offered in a report compiled by Election Observation Mission of the European Union.